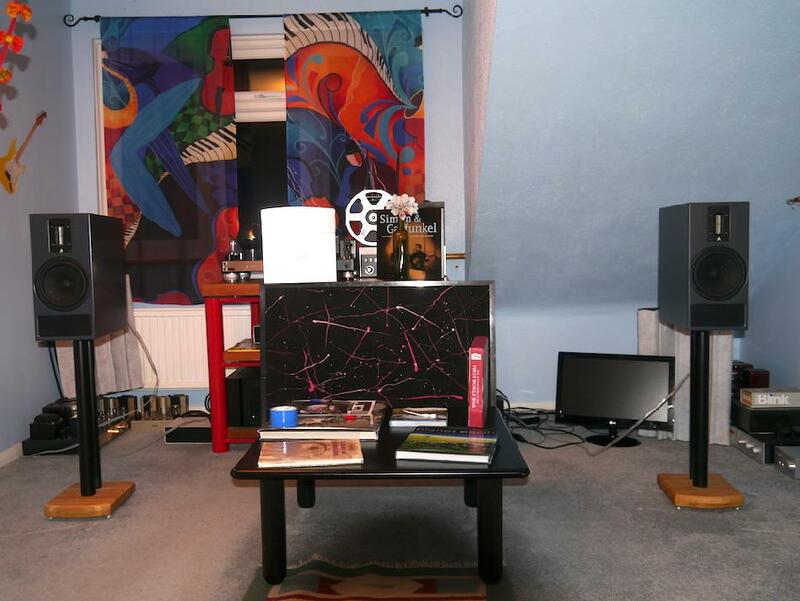 Now the speakers had been optimally positioned in my room and after a few hours of burn-in the serious listening began. Recently I have been listening to "The Jazz Groove" internet radio station (78kbs), the sound quality of his stream is remarkably good even with the low data rate. The K300s deliver a wide and spacious sound with very good resolution from the low data rate stream. The bass is deep and controlled, in the past I have heard transmission line speakers that were over the top and bloated. In my room the K300s were perfectly balance with good resolution and timing. Turning up the data rate some what via Diana Krall and the album "Turn up the Quiet", the K300s easily reveal the improved quality. Diana's voice is presented beautifully centre stage, with a natural and realistic breathiness. The Fountek ribbon tweeter is something special delivering fabulous detail without being aggressive or harsh, something I have heard with other speakers using ribbon tweeters. Moving on to Gregory Porter and the title track from his hit album "Liquid Spirit" the bass extension from the transmission line let the double bass really shine, it was like a spotlight had been turned on the bass player and they had equal billing alongside Gregory. Over the years of my journey with music reproduction I have preferred speakers of a smaller scale. My listening rooms have never been large and a speaker that dominates the room visually has usually got in the way of the music, probably because there is not enough room to let the speaker breath. Because on my preference for smaller speakers bass performance has always been a compromise, a good example was when my regular speaker was the classic LS3 5a. The Kerr Acoustic is a different beast to the venerable LS3/5a with a more modern presentation, more dynamics, yet retaining a lot of the neutrality of the LS3 5a. Where the K300s really excel is bandwidth, the bass is no longer such a compromise, and the ribbon tweeter is so good with lots of detail without being harsh. It wasn't until my degree dissertation that I attempted a transmission line - a large 3-way design featuring a 12” woofer - essentially an early predecessor to the K100. I studied, in great depth, the writing of Martin J. King and John Risch, which gave me a solid grounding in understanding TL technology and its implementation. Newer Post"David Price thinks Kerr Acoustic's new transmission line K320 floorstander is a really serious performer"
Older Post“The K320s punch way above their 165mm bass-mid driver and 25kg weight. Listeners will not find themselves suffering from stereo starvation or bandwidth deprivation"